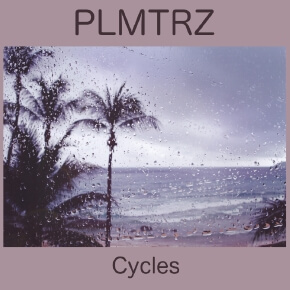 PLMTRZ is an electronic music project by Pelle Sundin from Sweden. The debut EP “Cycles” is now presented by the label Lemongrassmusic. Its six tracks will take you on a deep sonic journey in nature and the organic laws that governs it. Playful rhythms and melodies, a heartfelt warmth and sweet layering of sounds sums up this album, which will tingle your brain in a very good way. “Cycles” wants to shine a life to all different kinds of processes and cycles in nature. A system in complete harmony and perfection. From the warm sun shimmers on a beautiful spring day to the revitalizing first rain of a long period of heat. Rain is a reoccuring theme in the tracks, when you close your eyes and listen you can almost smell the wet moss and dirt. The album also goes deeper with the tracks “Enviromental”, “Branches” and “Hera”, being more metaphysically investigating and shining a light to the invisible life force that governs the whole concept of cycles as we know it.